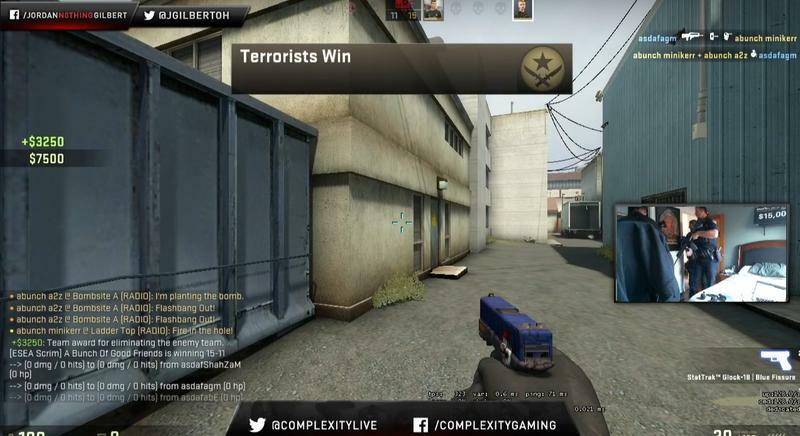 Counter-Strike got a little too real for Jordan Gilbert of n0thingtv this week when police raided his house. This prank begins with an anonymous call to the police, reporting criminal activity at the victim's residence. The intent is to get the police to send a full SWAT team to the victim's house. Ideally, the victim is someone who streams audio and video of themselves, because then the prankster gets to see the result of their actions live. This prank, though, isn't exactly standard Bart Simpson fare. It's an incredibly dangerous and expensive joke. If the person being swatted reacts wrong or has a particularly territorial dog, shots could be fired and someone could be hurt or killed. Even if no one gets hurt, though, a team of police officers that could be stopping an actual crime is diverted for someone's amusement, potentially costing the affected city thousands of dollars. This is far from the first or last instance of this. The Reddit thread that popped up afterward has a laundry list of instances of this. While some of these pranksters are caught, as with a Canadian case a couple months back, many are difficult to trace, leaving the victim and the police department with little recourse. If you do decide to stream, be careful what personal information you give out to make it as hard as possible for a potential swatter to link your online identity to your real one.